Pavers, or paving stones, are an increasingly popular choice for driveways, walkways and parking areas. We are experts in this solution. Pavers offer the durability of asphalt and concrete while retaining stormwater runoff and helping to replenish local watershed systems. • They can be installed on driveways, walkways, and patios. • Interlocking pavers form a patterned surface that can be used immediately. 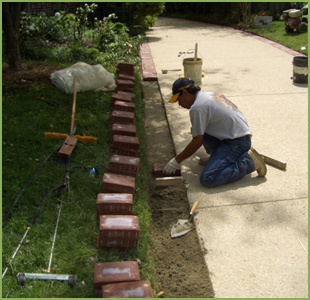 • Pavers are manufactured in various textures, styles and colors. 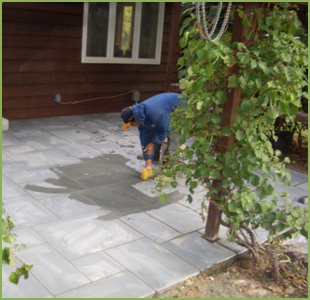 • Pavers can be removed and re-installed easily. Contact us and ask about using pavers for your project!